A man from Northamptonshire has been arrested after leaflets condemning homosexuality and non-Christian religions were distributed to a number of homes. 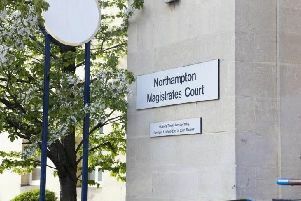 The 53-year-old of Corby, Northamptonshire, was arrested on suspicion of stirring up racial hatred on the grounds of religion or sexual orientation. The leaflets were delivered to a number of homes in Rugby, Warwickshire. Police are advising people not to share the leaflet on social media. Last year similar leaflets were distributed to homes in Northampton.